I’m pleased to bring you yet more ideas for a cheap low season break in France. 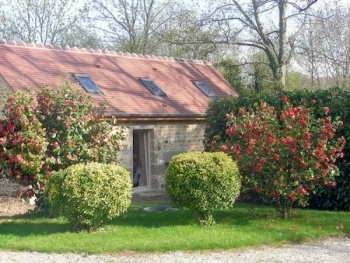 If you’re wanting some independence, peace and tranquillity from your bed and breakfast short break, this studio accommodation near Alençon in Normandy, 1 1/2 hrs south of Caen ferry port, surely ticks all your boxes. Located at the end of a small lane, surrounded by a mixture of woodland and open countryside, this is the perfect place in which to relax and unwind. The stay 3 nights on a bed and breakfast basis but just pay for two offer is valid through to the end of April. 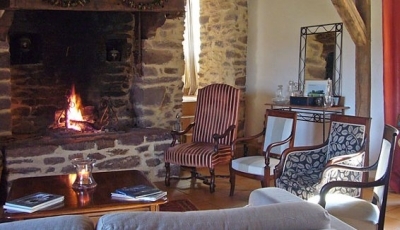 A little further West this time, near Rennes in Brittany 1 1/4 hours from Saint Malo ferry port, this is another fantastic address where peace and quiet are assured thanks to the 3 hectares of woods and gardens which surround the accommodation. There are two GR hiking trails on the doorstep which make it an ideal spot for a bit of physical activity. No need to head out in search of a restaurant at the end of the day as superb evening meals are available here. Until the end of March, stay 3 nights for the price of 2. 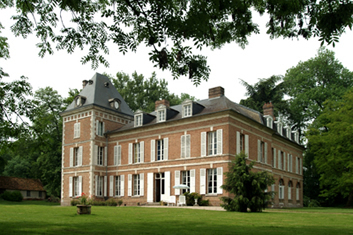 This time in the NE of France just 1 1/2 hours down the coast from Calais near Abbeville, this delightful little family-owned chateau is offering 3 nights for the price of 2 until the 22 March. It too offers complete peace and quiet thanks to the 15 hectares of parkland that surrounds the chateau. The guest rooms are simply but classically decorated and in my opinion this address offers real value for money … more so now with their special low season offer! So if you are in need of a peaceful, relaxing but cheap short break away to France this Spring, do click on any of the photos above for full details of each accommodation and then make your enquiry for whatever dates you require.